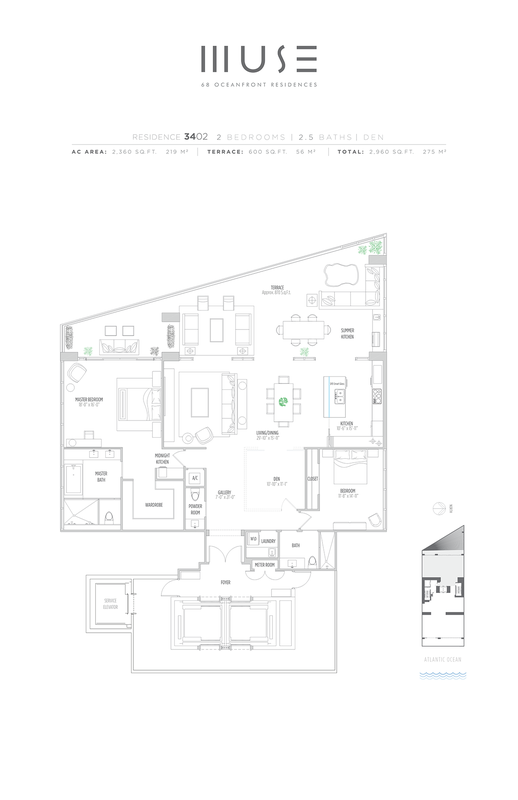 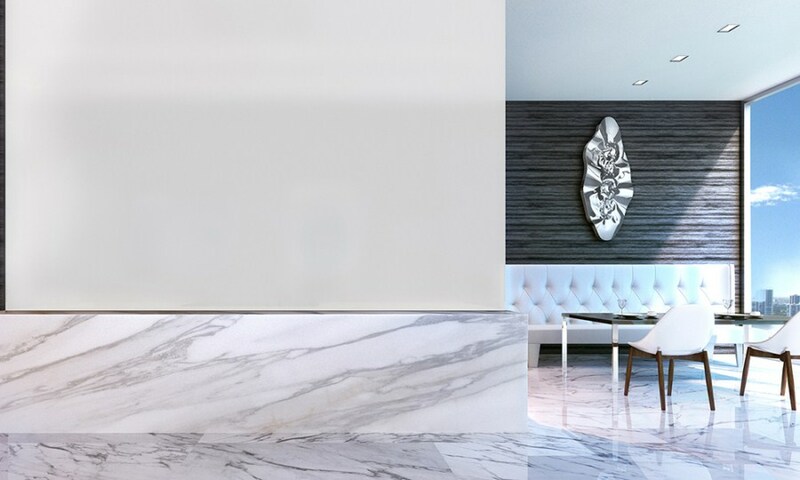 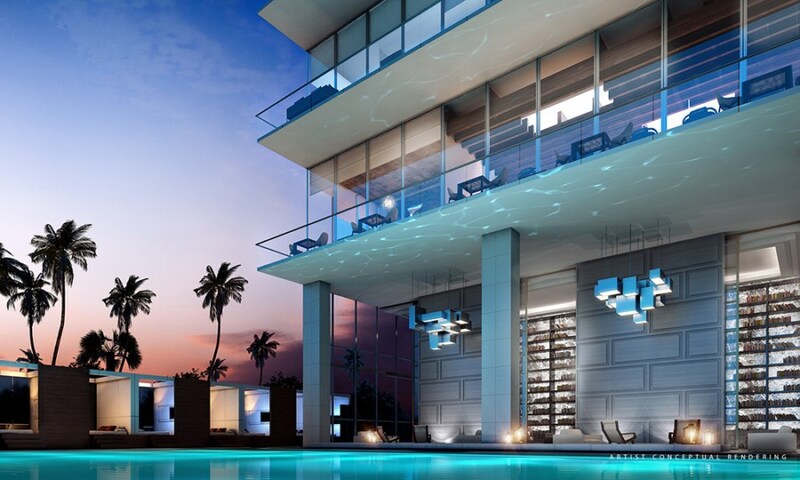 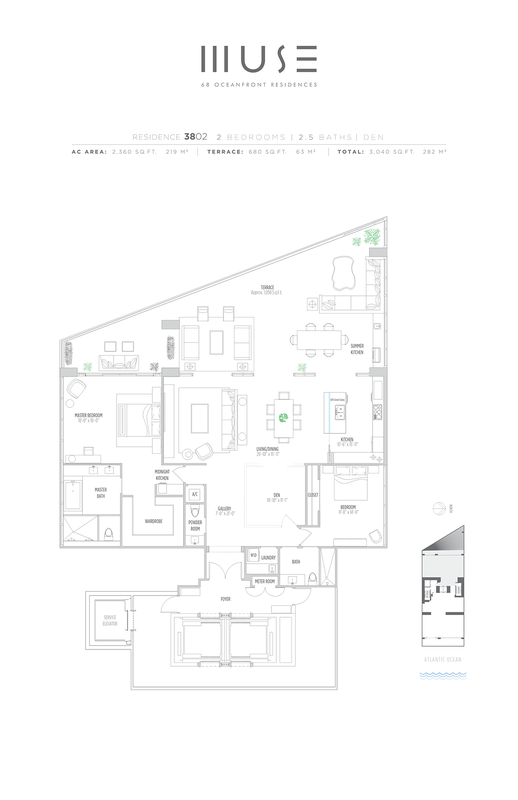 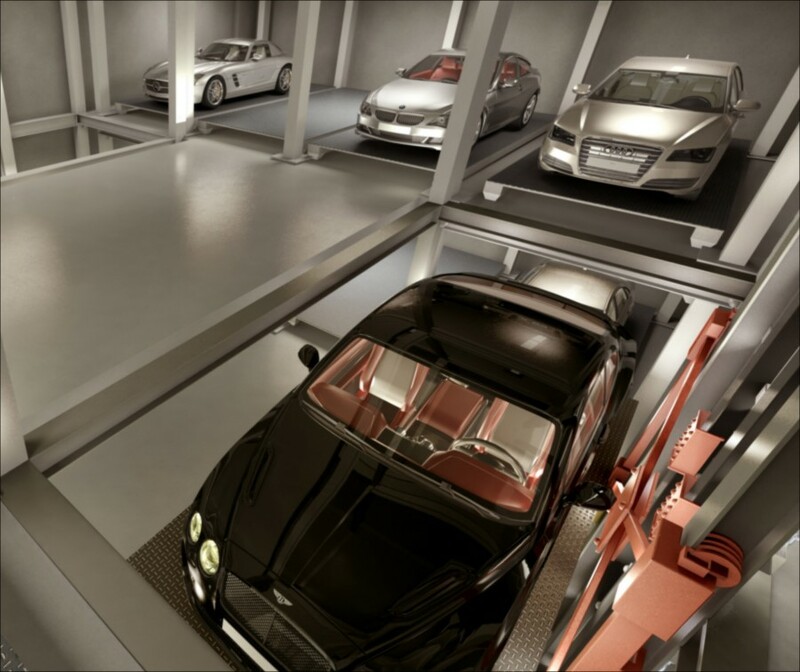 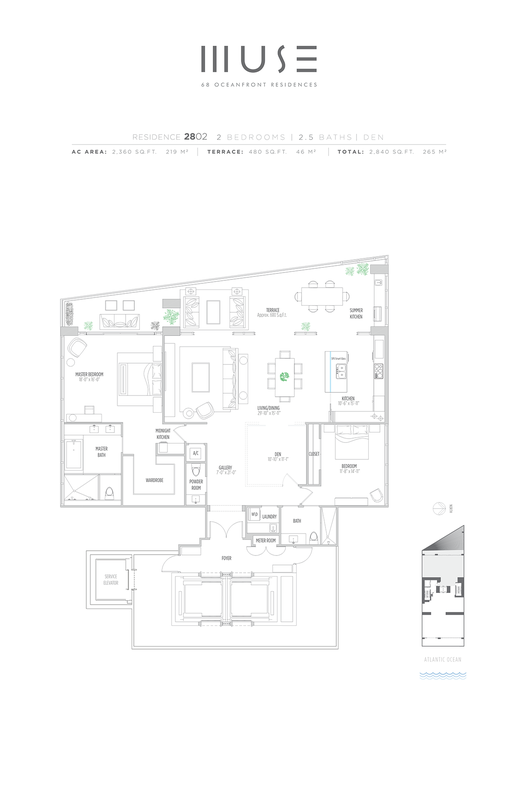 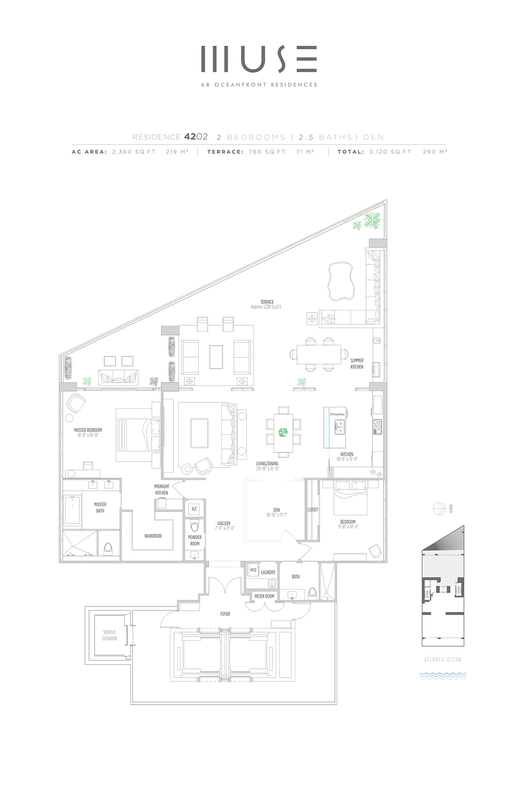 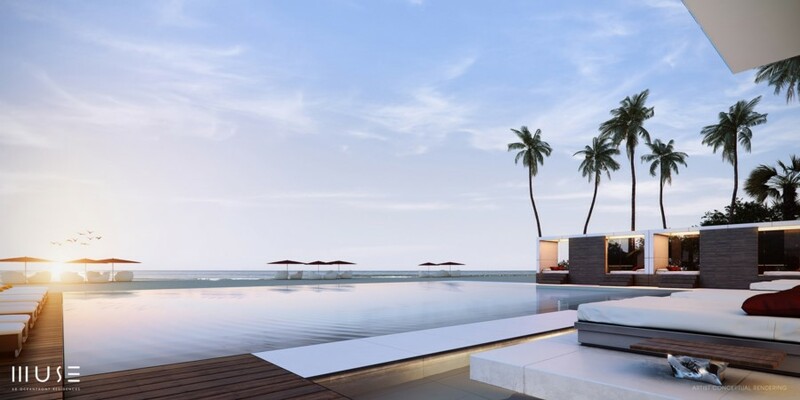 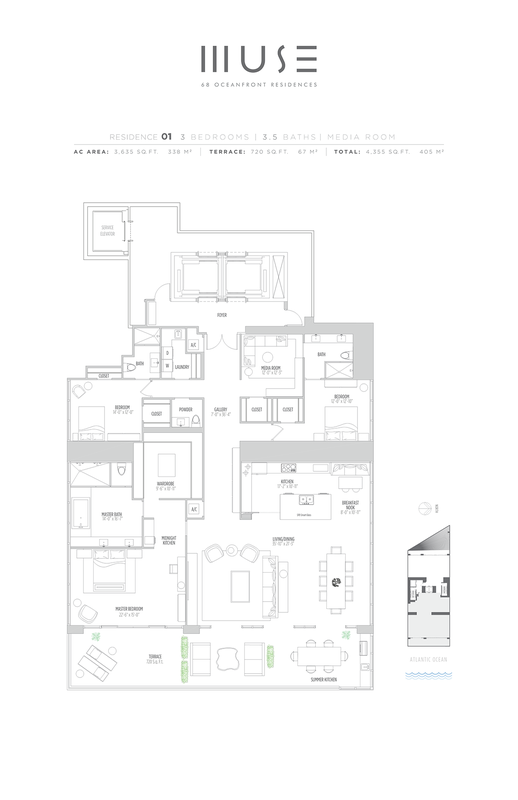 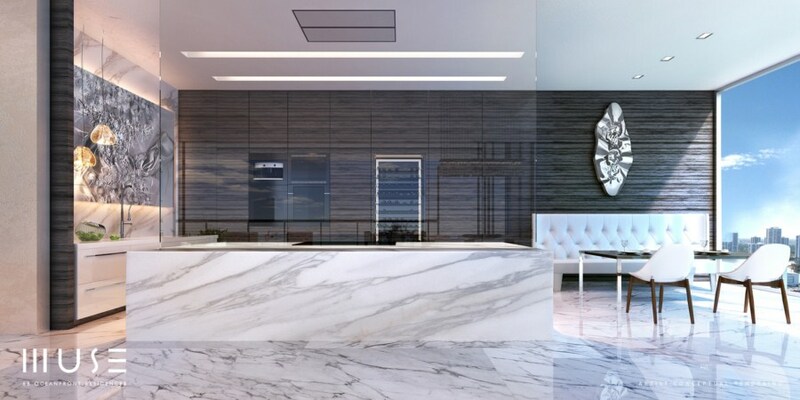 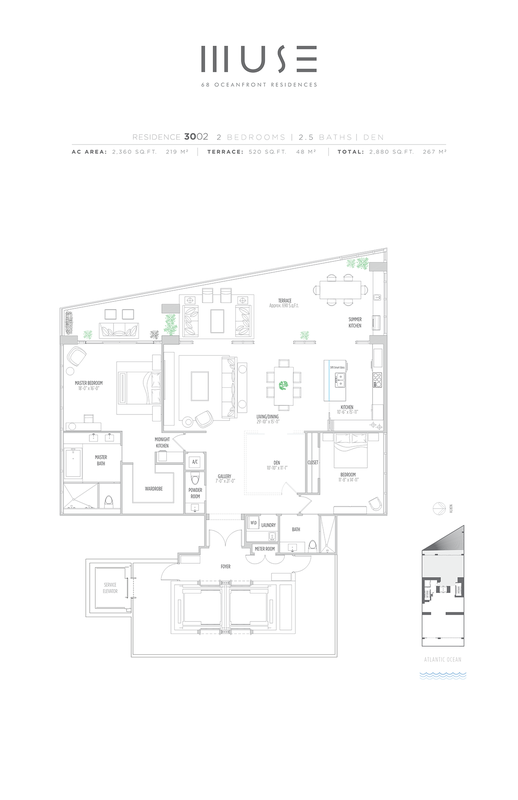 The Muse condominium is a remarkable example of South Florida's lifestyle and arcitecture. 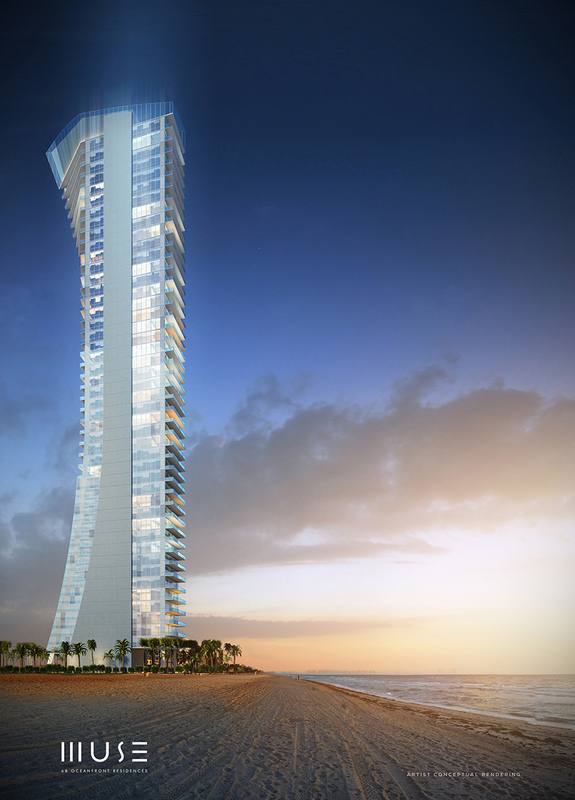 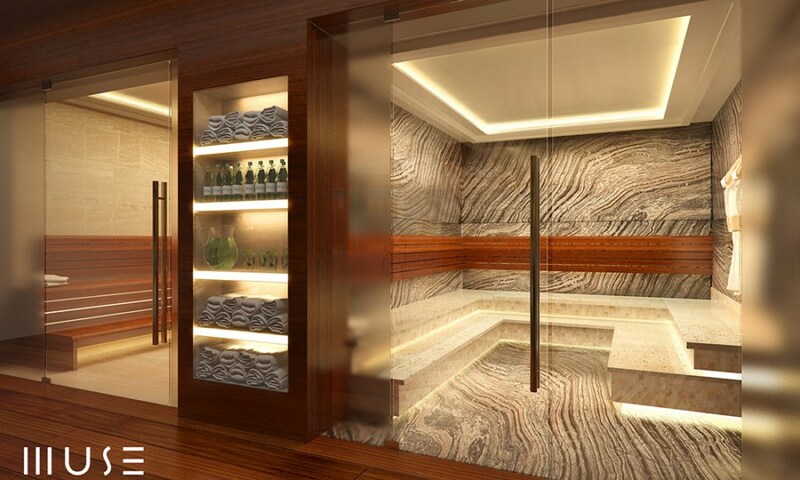 Muse is a skinny 649-foot tall tower, only 60 feet wide, designed by talented architect Carlos Ott. 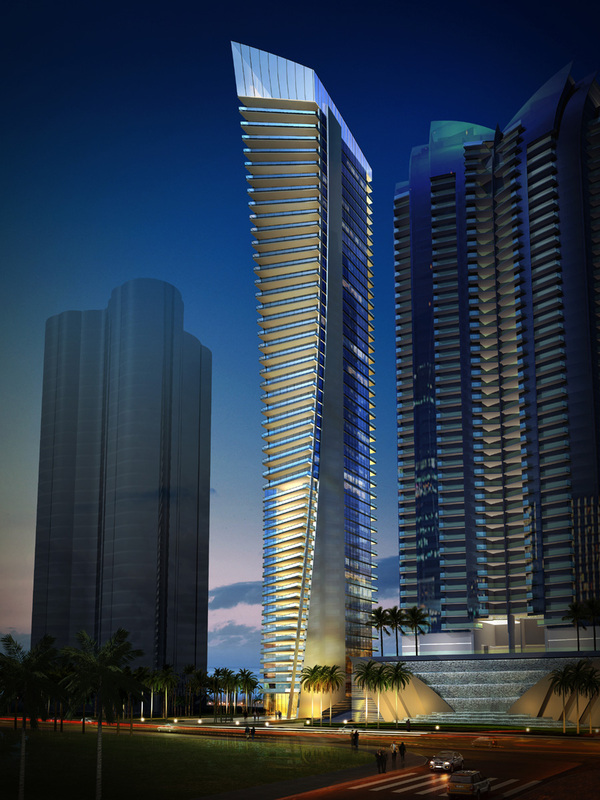 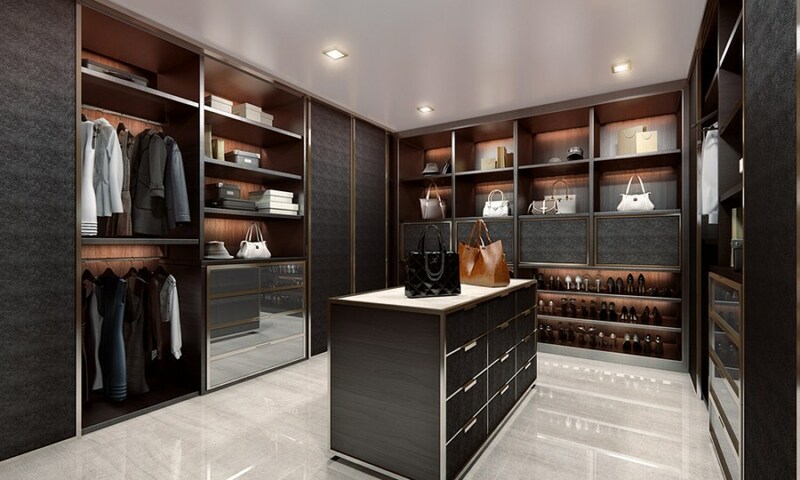 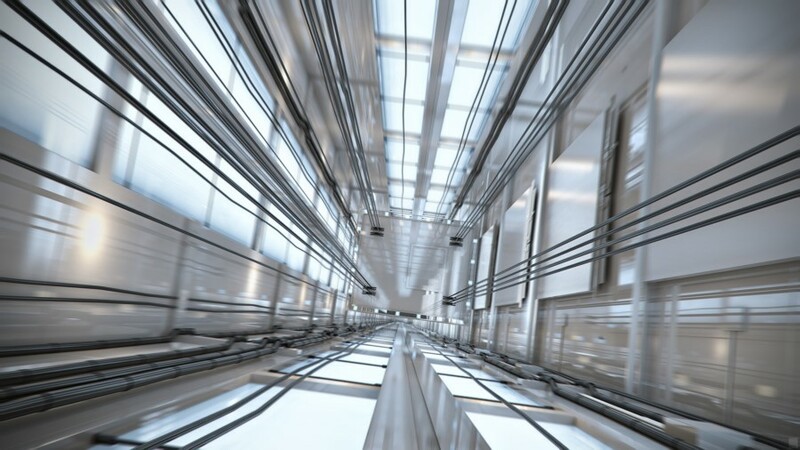 The building features a truly distinctive design with a heartwarming touch of futuristic elegancy. 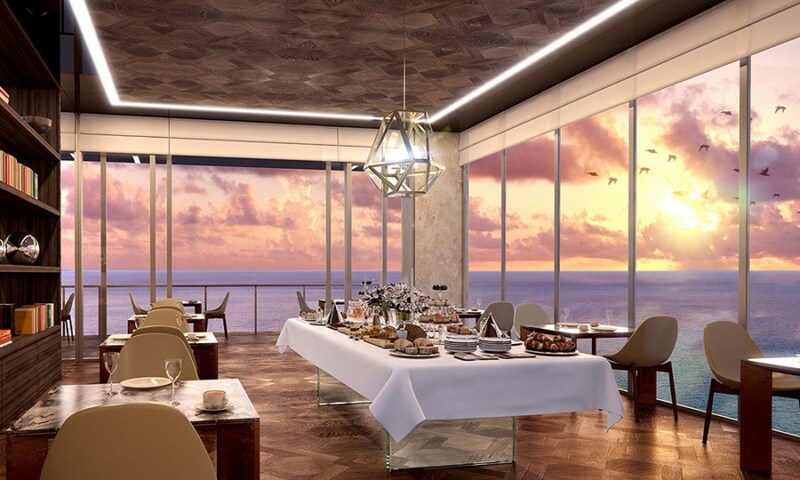 Every little detail in Muse full of inspiration. 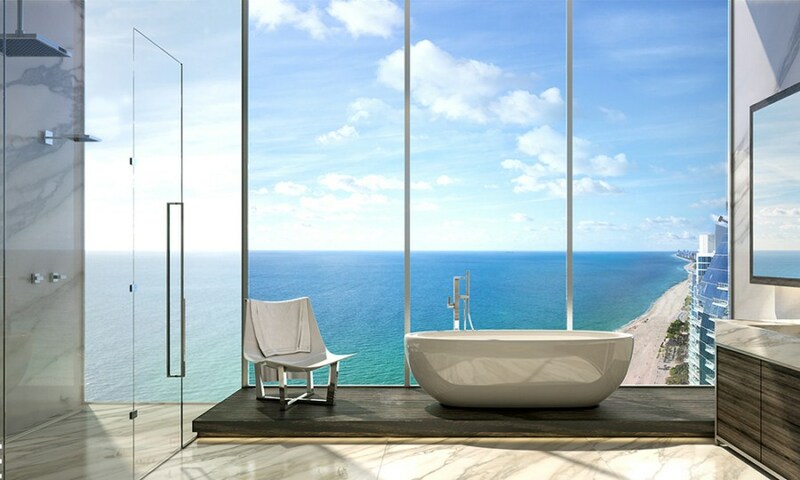 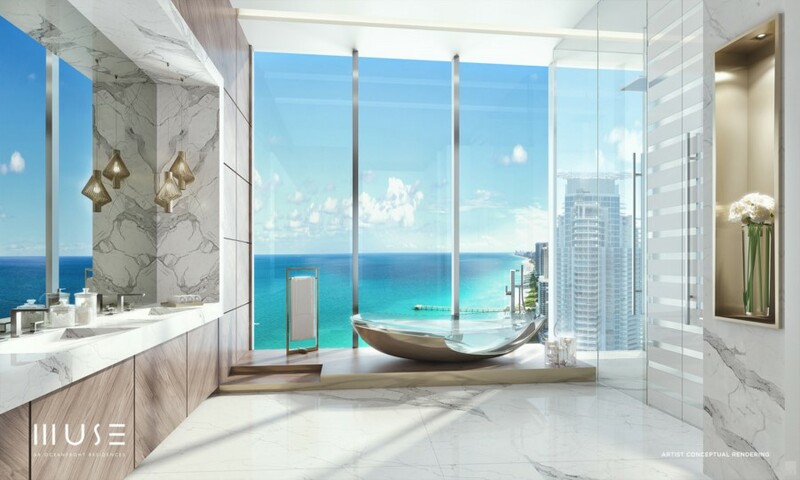 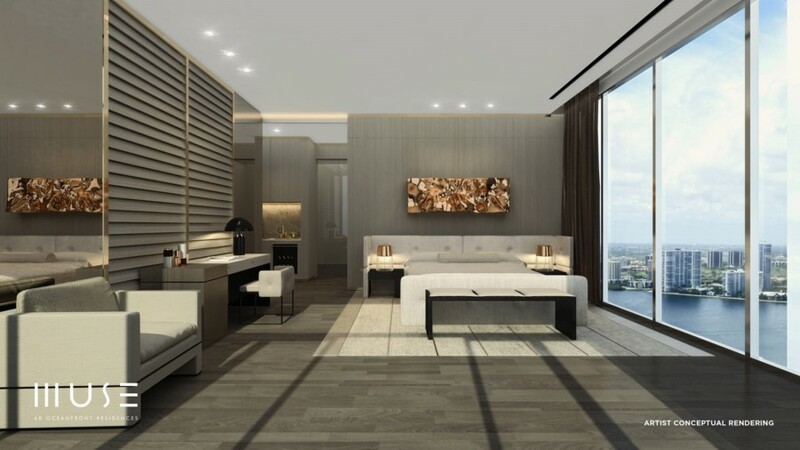 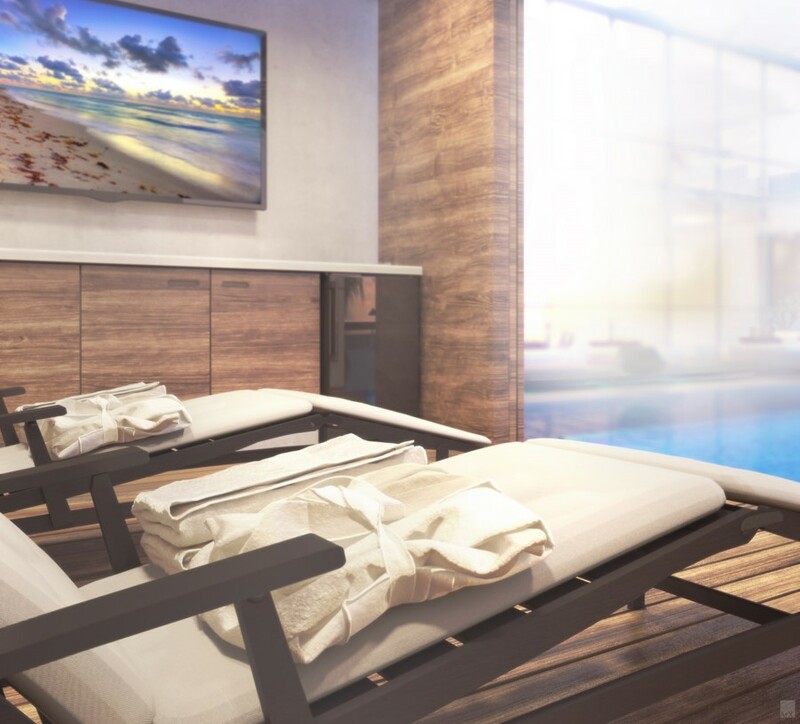 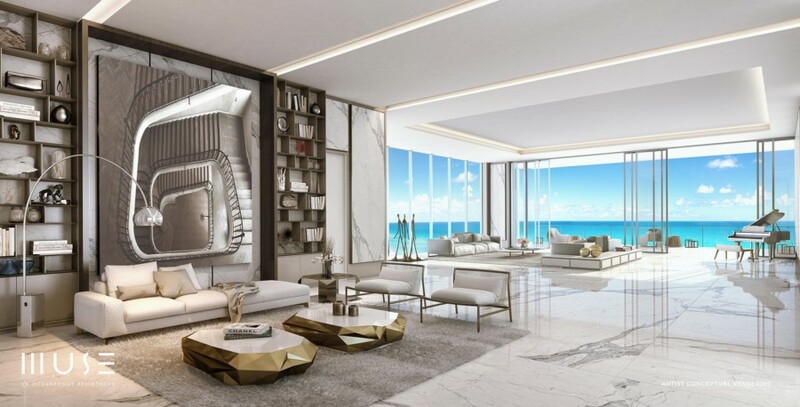 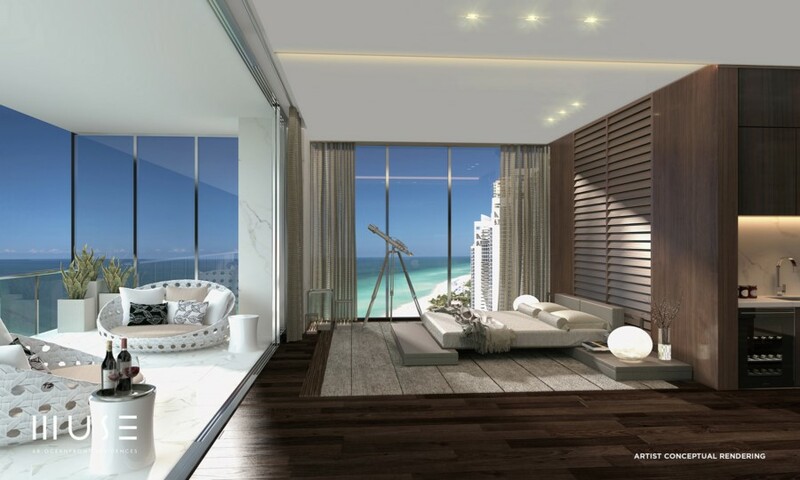 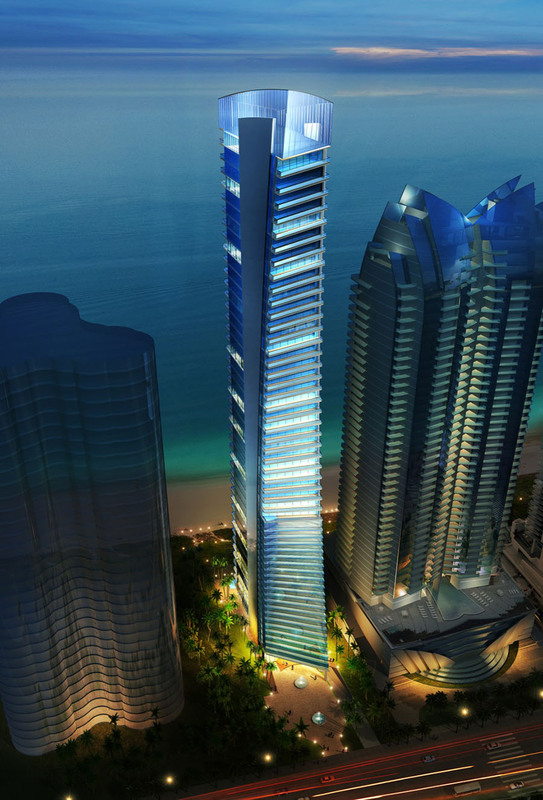 Muse features 68 luxury residences offering breathtaking panoramic views of the Atlantic Ocean, the Intracostal Waterway and Miami skyline, the best amenities and services provided to the residents. 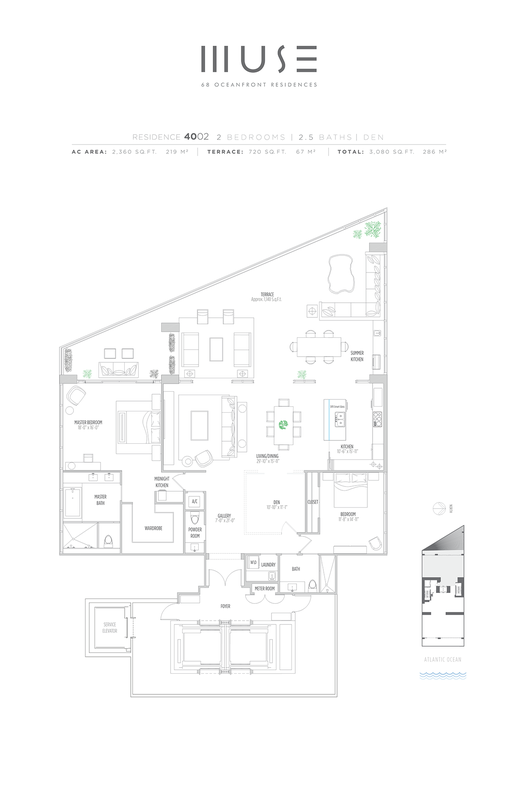 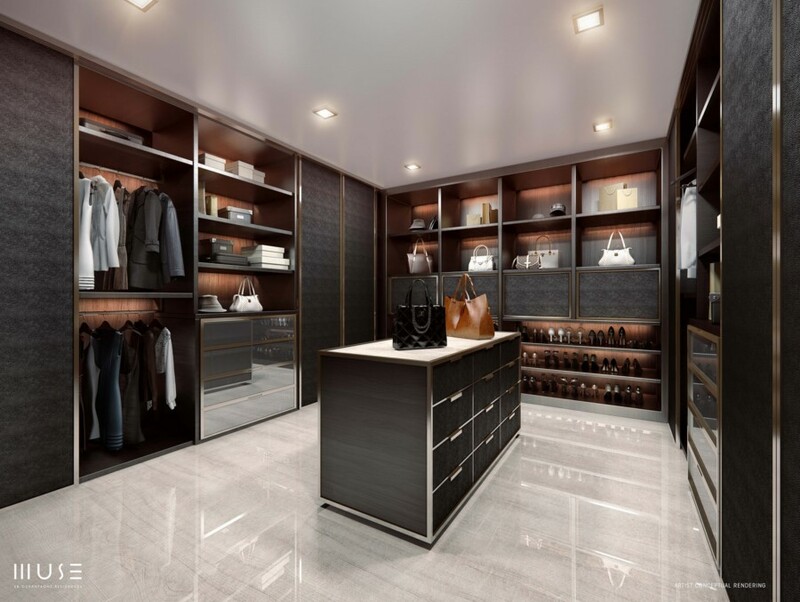 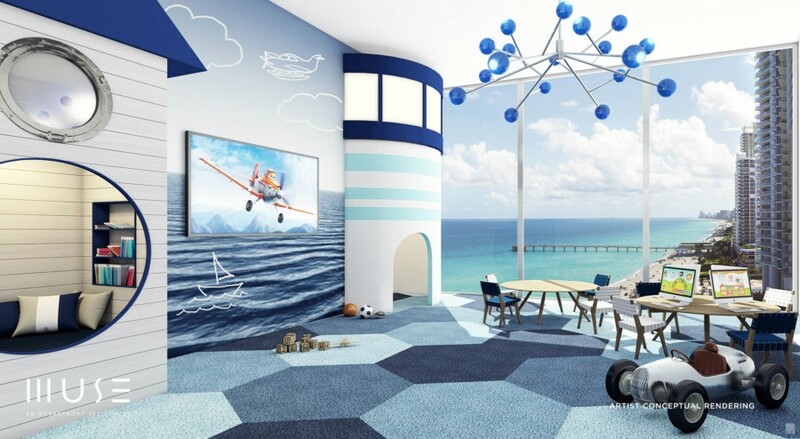 Residences stunningly expansive, ranging from 2,360 square feet 2 bedroom residences up to 5 bedroom floor plans of 5,5800 square feet, with no more than 2 residences per floor, with one on the east and one on the west. 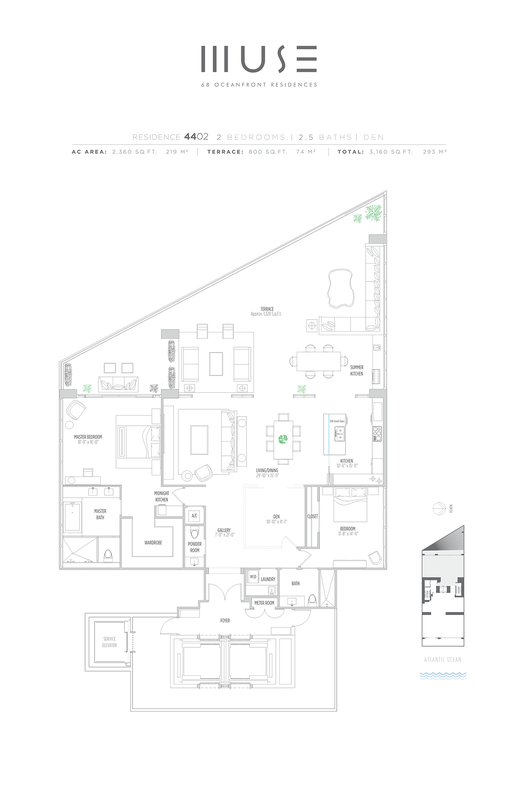 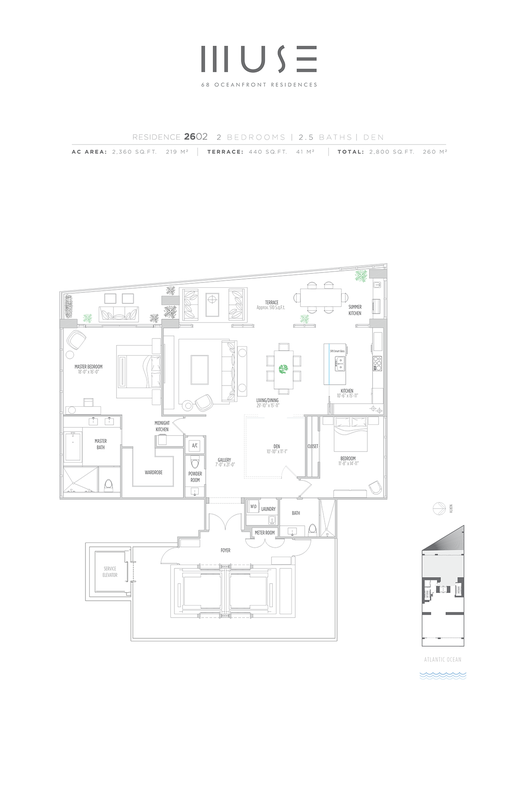 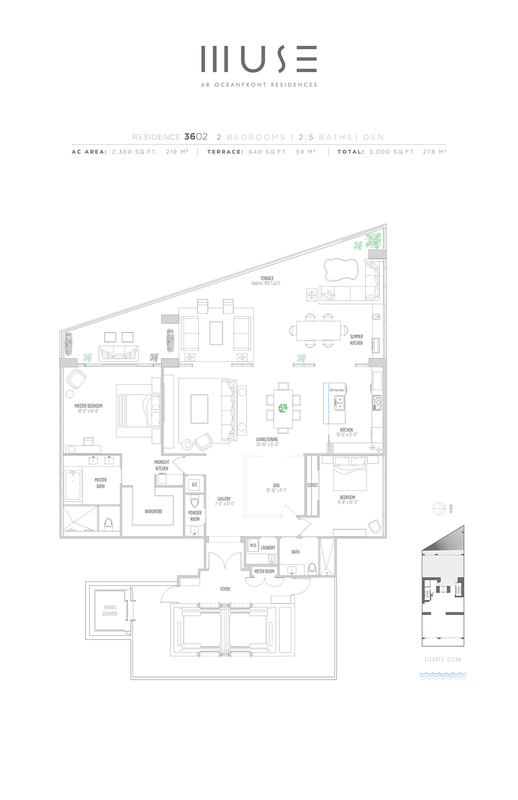 The top 2 floors features just two incredible penthhouse residences with 5 bedrooms, 4 1/2 baths, a den and service suite totaling more than 5,800 square feet each. 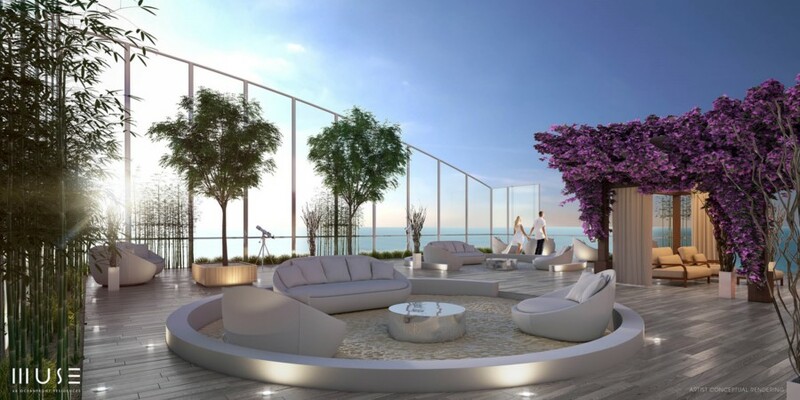 Each residence features a sculpture by artist Helidon Xhixha. 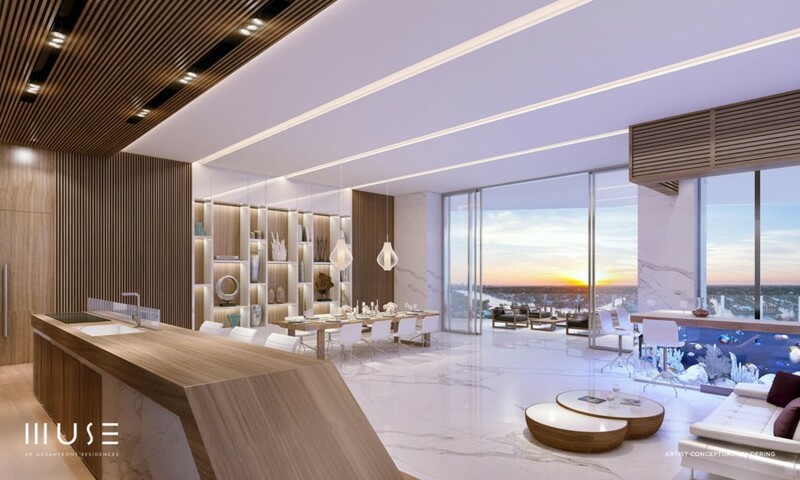 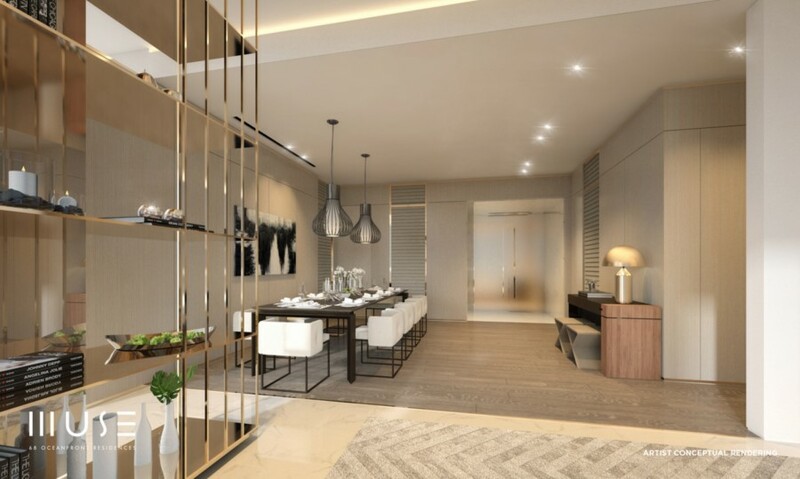 The blended price for the residences in the Muse condominium will be $1,300 a square foot, with lower floors averaging less than $1,000 a square foot and upper floors reaching $2,000 a square foot. 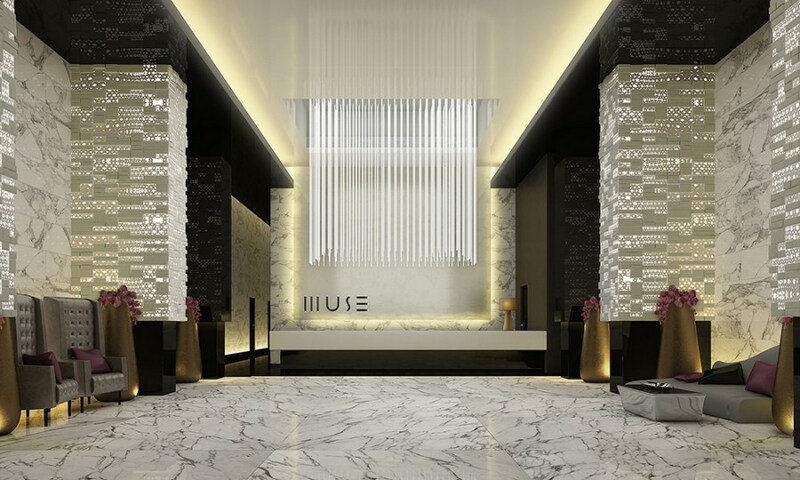 Muse is expected to shortly start taking reservations. 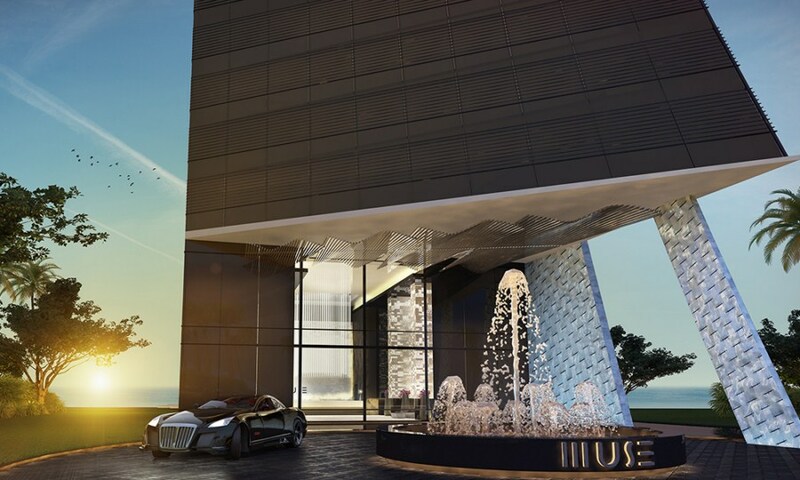 Muse will be a place where future will always be within your reach. 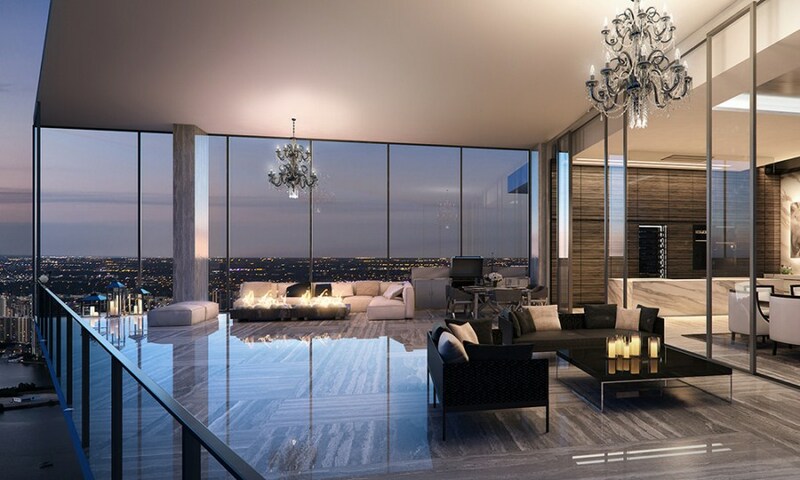 Muse will amuse you.